The first-ever Pokemon Go Fest is set to kick off soon, and players and trainers across the nation as well as across the globe are gearing up for a number of new events from The Pokemon Company as well as members of Niantic Labs. 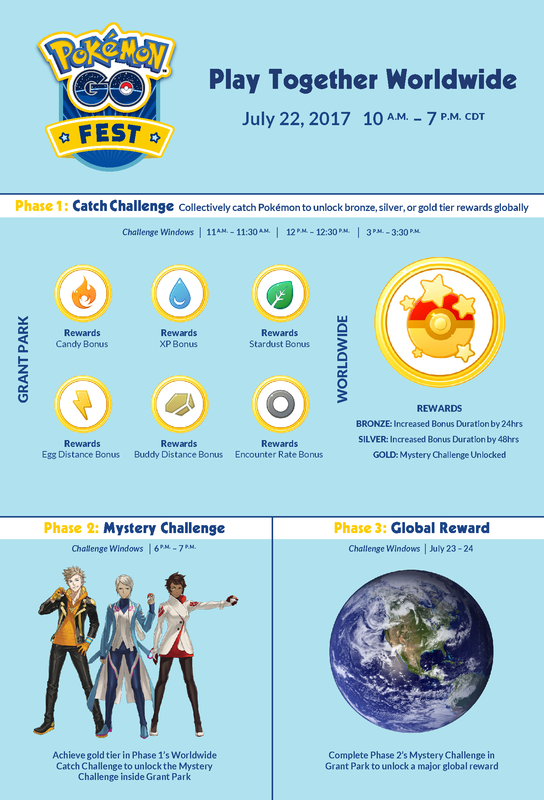 Now that Chicago's Pokemon Go Fest July 22 launch date is approaching, we've finally been given a thorough look at everything players can expect from the festival, the likes of which we have featured below. A number of special events are planned for the Chicaco-based Pokemon Go Fest, many of which featuring exclusive and envy-inducing rewards. In particular, Pokemon Go players across the globe will be able to participate with those trainers on-site in Chicago during special Challenge Windows in order to unlock special prizes. Challenges can be completed by catching specific Pokemon types, and each type will be linked to a specific perk, meaning players will have to be choosy with which Pokemon they try to capture. To make matters even more interesting, trainers that aren't on-site in Chicago will be able to frantically catch Pokemon in order to increase the Challenge Window duration. By participating globally, players will be able to increase the possibility of triggering a special worldwide bonus event whose details have yet to be revealed. For a full look at how the system will work, check out the lengthy infographic provided below. The Pokemon Go team's planned events go well beyond this month's Chicago-based Pokemon Go Fest -- there are several planned Pokemon Go Safari events that will be hosted across Europe and Japan, too. 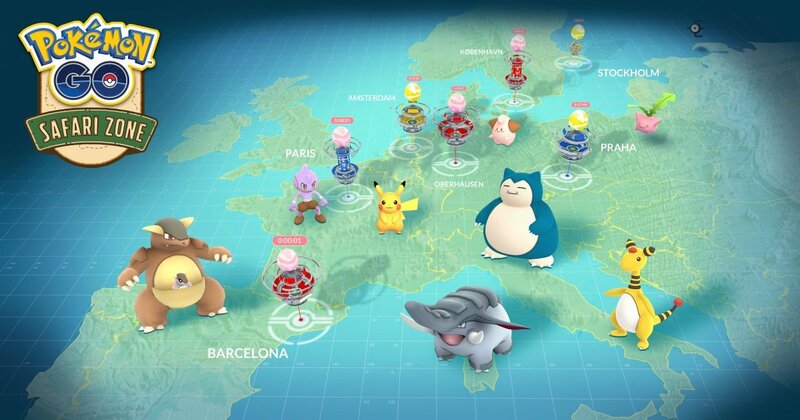 Pokemon Go trainers in Europe will have a number of events to choose from that are spread across locations in Denmark, France, Sweden, and Spain, and we've got the full list of available dates, locations, and venues listed below. The Pokemon Go team as well as The Pokemon Company will also be taking part in Japan's annual Pikachu Outbreak event, which is set to kick off in Yohohama, Japan on August 9 and run through August 15. Pokemon Go isn't the only hot mobile game on Android devices. To discover more paid and free titles, check out our list of the Best Android Games.